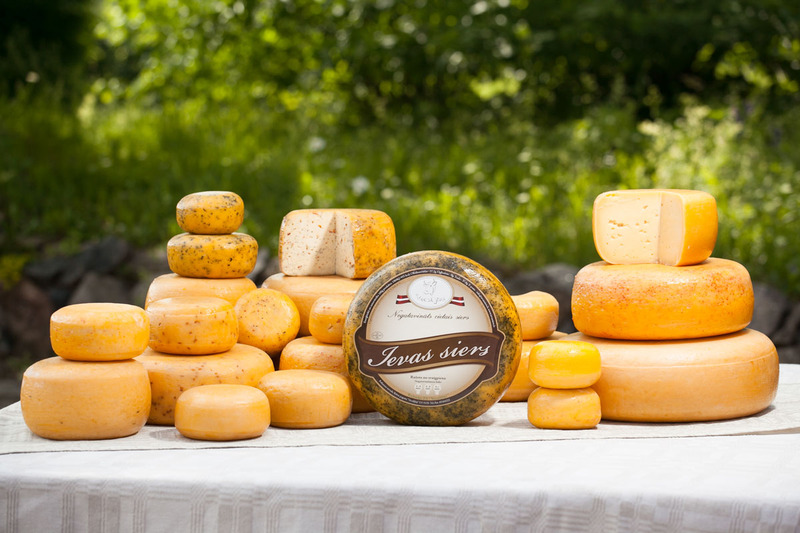 „Ievas siers cheese is made from the most valuable unpasteurised milk from the morning milking. As soon as the cows are milked, the milk is taken to the dairy where production is started while the milk is still warm. Master cheese makers add cheese ferment to the milk, cheese clumps start to form which are then placed in the special cheese forms characteristic of Ievas siers. 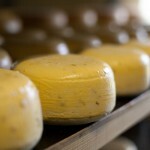 Each round of cheese is the result of skilful hand work by the master cheese makers. 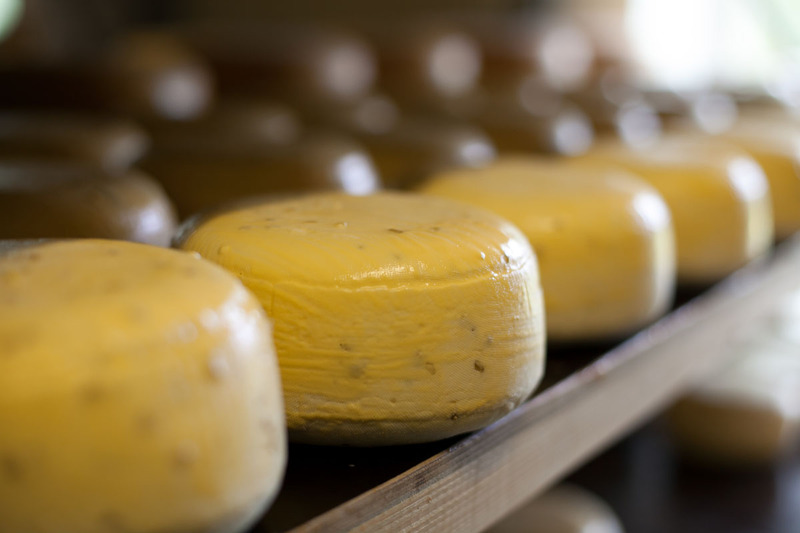 Each round is made with careful attention to the quality of the cheese and the enjoyment of its future consumer. 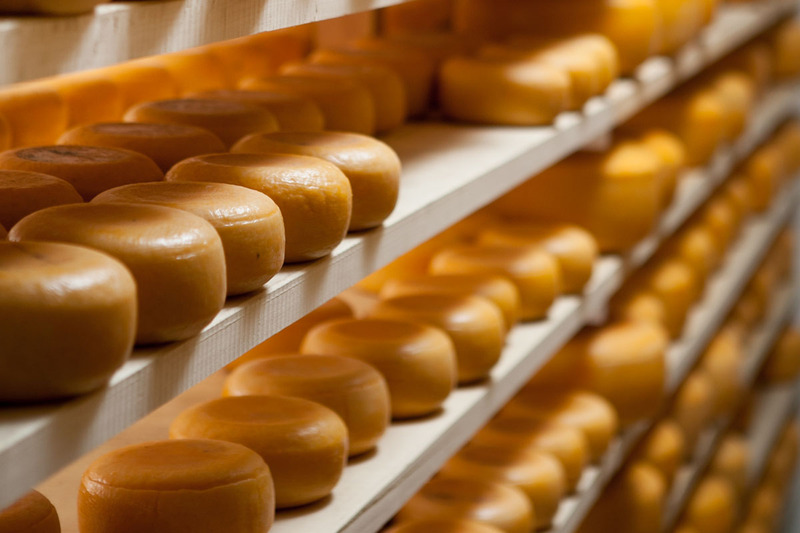 Then the cheese rounds are put in the warehouse on wooden shelves with a constant temperature that helps them to successfully mature. 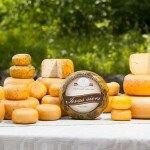 The cheese will be ready for the buyer in two months from the point of preparation when it has developed the best qualities of its taste.